Wadi Rum was used by the Nabateans as part of their trading routes, but it is largely known today because of the work of Lawrence of Arabia with the tribes of the area in World War I. The movieLawrence of Arabia was partly filmed here. 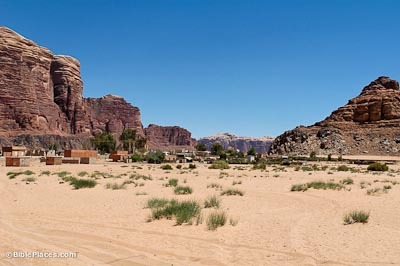 The paved road to Wadi Rum ends at the guest house, and from this point only four-wheel drive vehicles can travel. 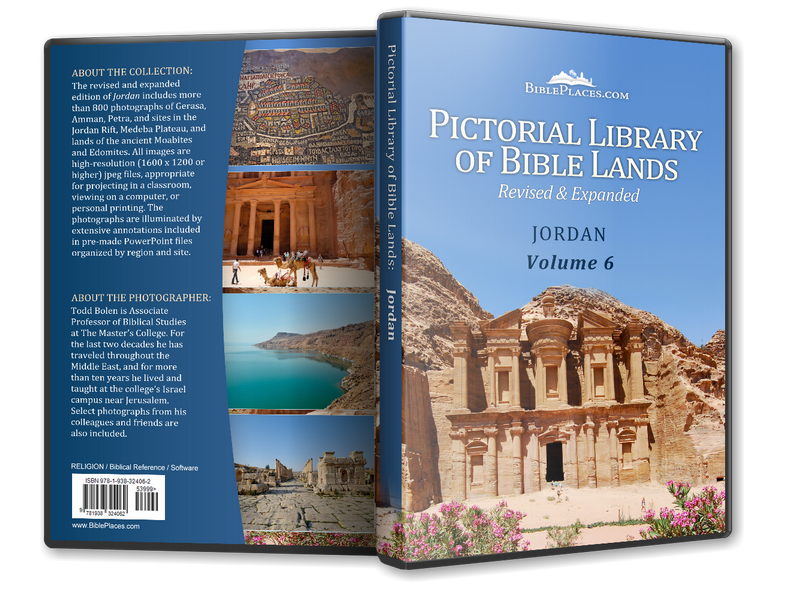 Visitors enjoy hiking, climbing, taking a jeep tour, and sleeping in Bedouin tents out in the desert. 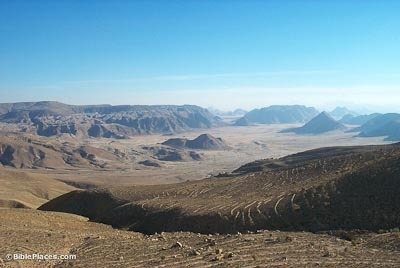 Among the area’s mountains is Jebel Rum, the highest mountain in Jordan with an elevation of 5,750 feet (1,754 m). 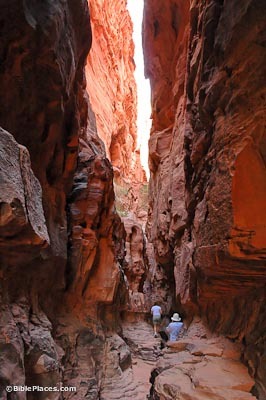 “The dramatic combination of massive rocks and canyons, sandstones over basalt and granite weathered into weird shapes and colours surrounded by desert sands, rivals Petra in magnificence” (Rollin and Streetly 1998: 226). Next to “Lawrence’s Well” are some inscriptions from the Thamudic tribes. 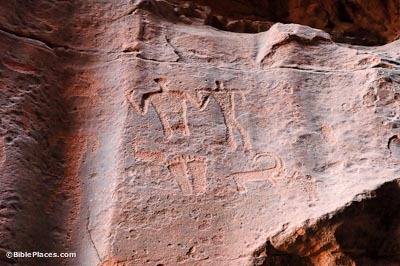 In the Wadi Rum area, there are thousands of drawings and inscriptions from these people who lived here in the first centuries AD. Thamudic drawings include depictions of humans, large feet, ibex, camels, and hunters. 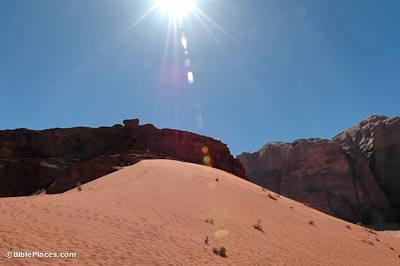 In 1999, a government proposal reported that the annual number of visitors to Wadi Rum was almost 100,000 and it expressed concern for the area’s landscape, ecosystem, and archaeological remains. To protect its natural beauty, steps have been taken to regulate the area’s tourist activities.